Enjoy the privacy of a gated community, while indulging in your love of golf. Glenwild/Silver Creek is an exclusive residential area of private single family houses located in the Silver Creek area of Park City, Utah. 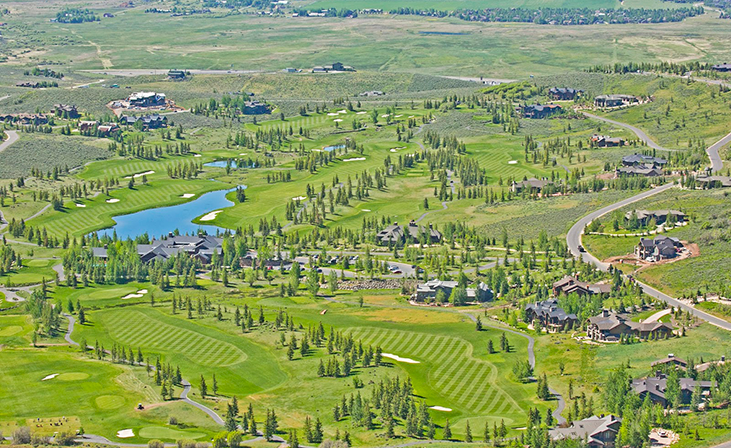 Glenwild is home to one of the most highly rated golf courses in Utah, designed by Tom Fazio. If not golf, You can take part in some horseback riding and training on one of the many equestrian lots available in SIlver Creek or just sit back and enjoy the incredible view of the Wasatch Mountains, and the surrounding ski resorts. Glenwild/Silver Creek contains eight sectors, including Goshawk Ranch, Stagecoach Estates, Pine Meadows, Glenwild, Silver Creek, and Greenfield Ranches. Located just 10 minutes from downtown Park City.